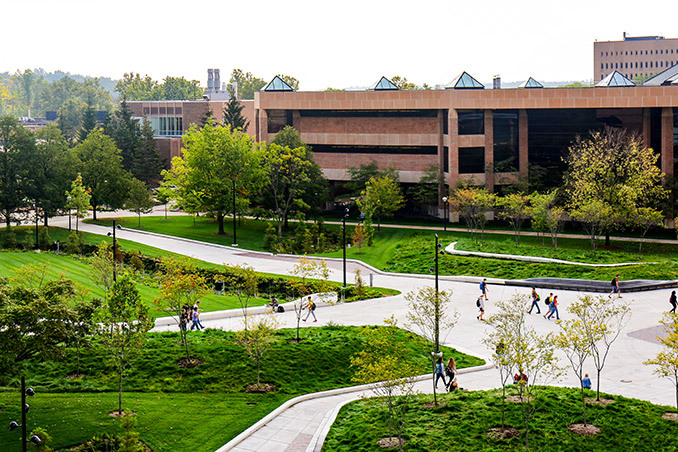 The Eda U. Gerstacker Grove is a renovation of a 4-acre underutilized campus quad at the center of the University of Michigan’s North Campus, home to the Schools of Engineering, Art, and Architecture and the Freshman Residence Halls. 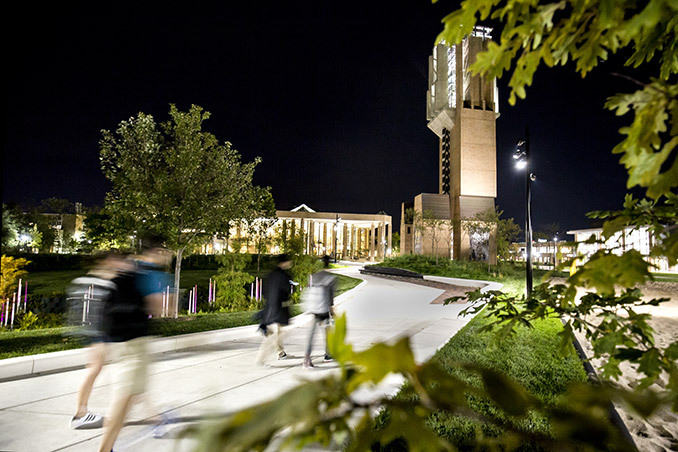 The new Grove activates the space for the students, faculty, and administrators on campus now, while it will also serve as the heart of student social life on the University’s expansion campus for years to come. The Grove is designed as a lush and vibrant space that can accommodate everyday activities, quiet gatherings, play, and a range of special performances and events. 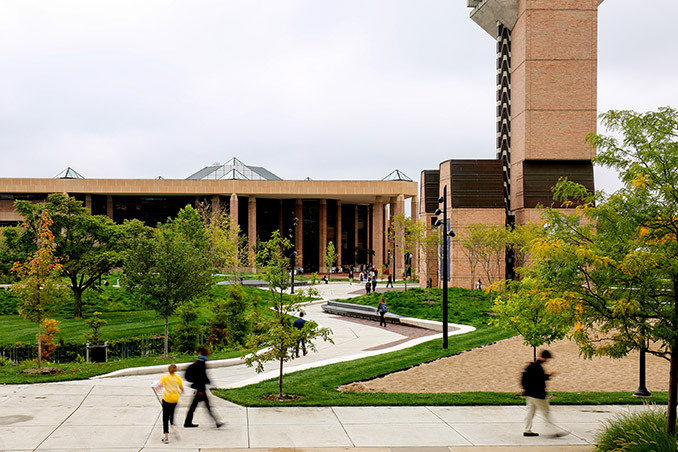 The green quad is marked by dramatic topographies, with grassy hills rising from an otherwise flat site to form shaded overlooks and lushly planted infiltration gardens probing deep into the quad’s surface to collect stormwater. 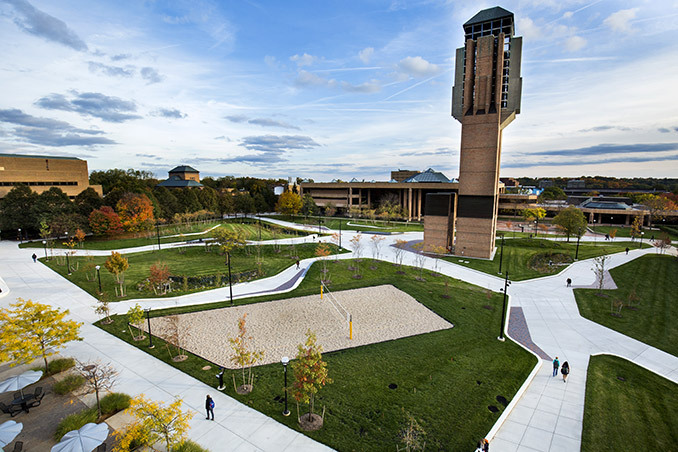 Over 160 new trees were planted to create a symbolic and literal green lung for the campus, with a mix of quiet lawns, shady hillocks, small and large gathering spaces, intimate seating areas, play spaces (sand volleyball and an interactive swing), and pathways designed to animate the experience of being in and walking through this dynamic new landscape. Benches of concrete and steel ribs frame the walk and provide continuous seating along much of the path. 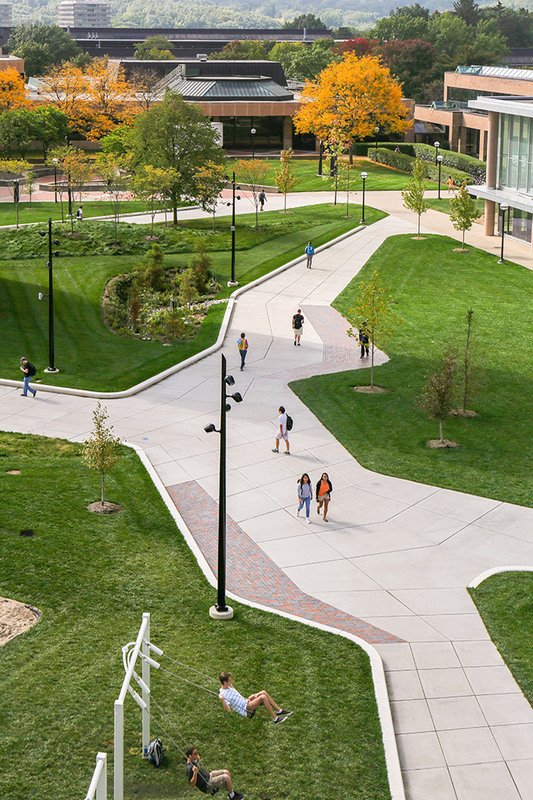 Sinuous curves trace the edges of each hill and infiltration garden, acting as retaining walls and drainage, and supporting student activities. 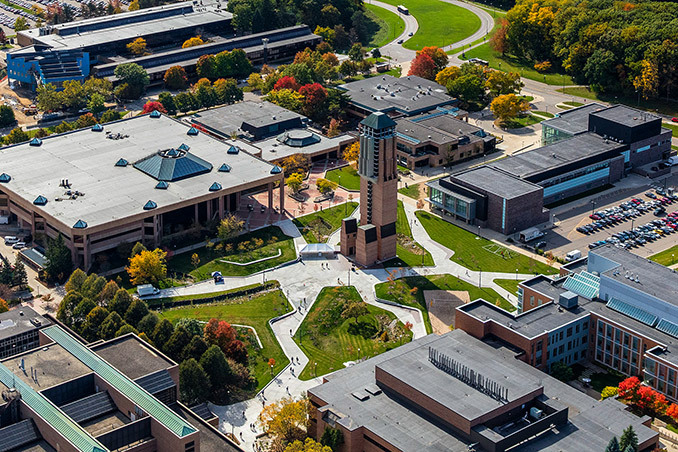 A central plaza can host larger-scale activities like musical and arts performances, student and alumni events, installations and experiments by engineering and design students, and casual play or organized recreation. 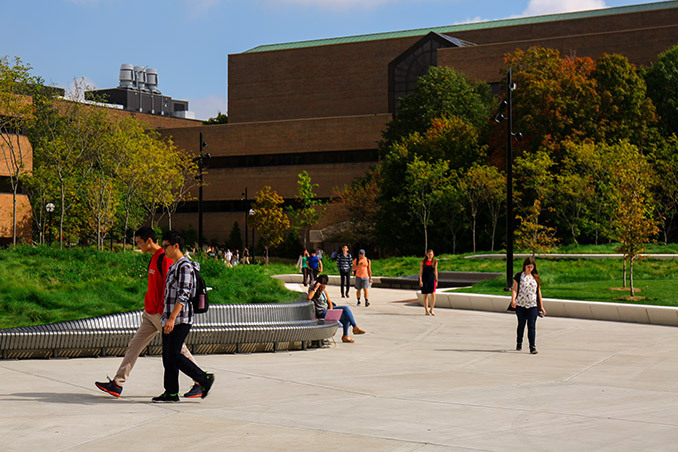 The Grove is designed to amplify daily and seasonal change, with flowering blooms of amelanchier trees signaling the dawn of spring in the center of the quad, and a ring of red- and orange- foliage trees vividly marking the quad in the fall. 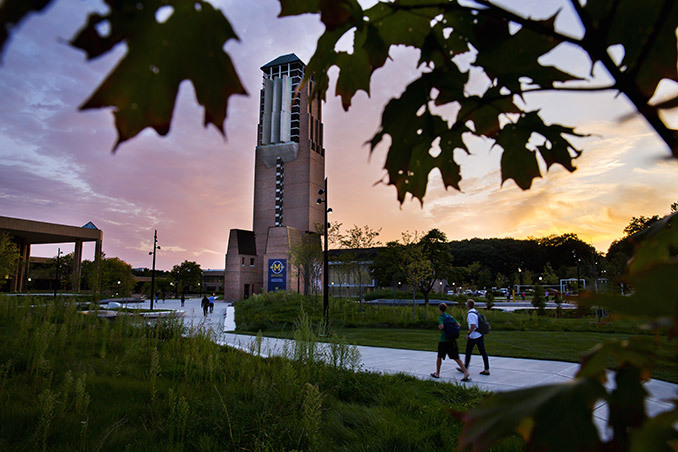 The infiltration gardens play an important role in this and in the project’s sustainability agenda, in which 95% of the stormwater is captured, retained, and eventually infiltrated into the ground. 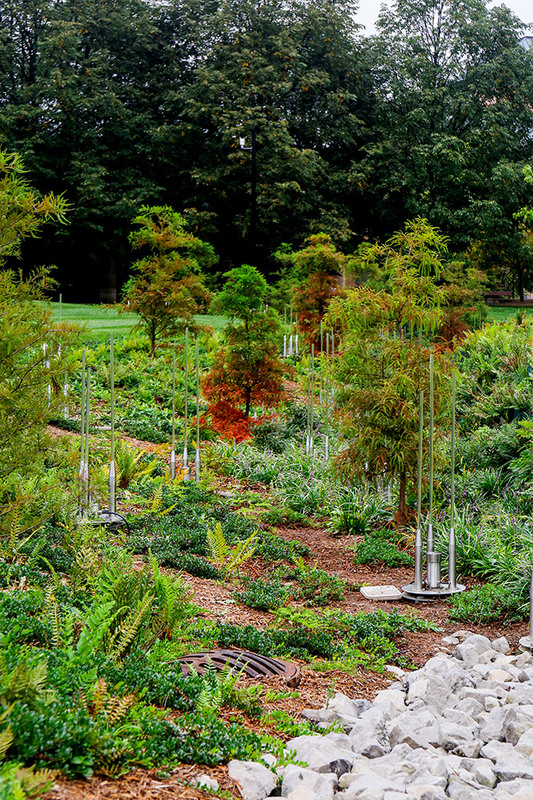 More dramatically, this connection to the environment is brought to life with over 100 acrylic rods with LED lights distributed between the prickly bald cypress trees and lush ferns and groundcovers in the gardens. 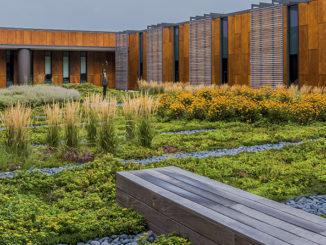 As it rains, and stormwater enters these gardens, the rods start to gently flicker, creating an extraordinary sensorial experience for passersby, one that links technology to environment to human life, creating a special moment when people would otherwise run for cover as quickly as they can. 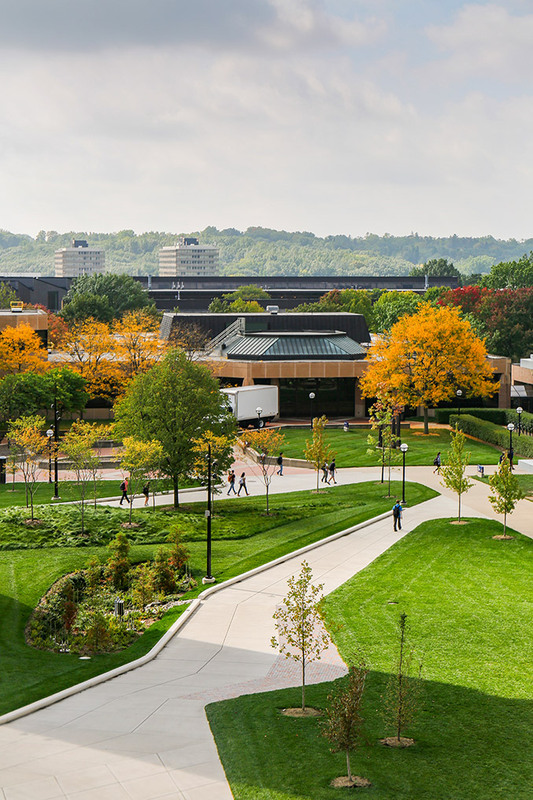 In all these ways, the Grove is a new meeting ground and space for creative engagement for a diverse campus community, strengthening the university’s connections between and among disciplines, and establishing a new heart for social interactions. The exploration of complex topographic, bench, and paving forms was executed through digital parametric tools that allow us to create numerous iterations for testing. Here, relational or associative principles and software (Rhino, Grasshopper) can generate flexible systems and forms—allowing for almost endless variation of shapes and variations from a set of simple parts. 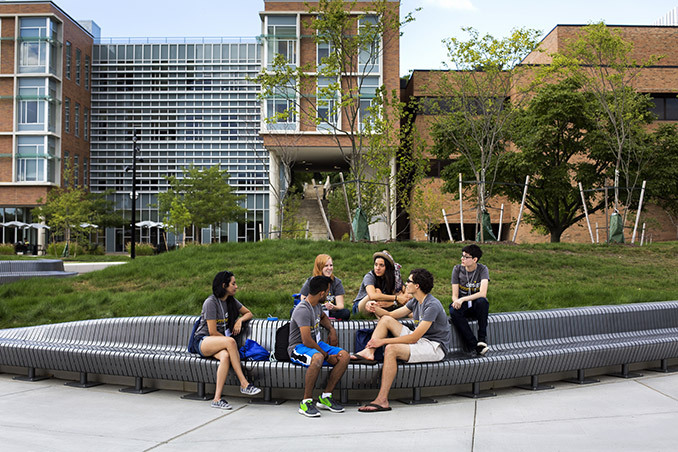 Individual bench profiles were generated from a variety of sitting positions and retention conditions; in all, a combination of student activity, body position and form, soil retention, and drainage were all considered. Digital software operations then allowed for transitional forms to be generated from one profile to the next, creating smooth forms and a multitude of curb and seat dimensions and positions along the benches’ lengths. 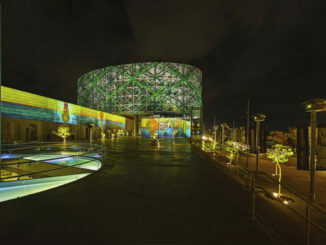 As the language was refined, a three-dimensional digital model, created using Rhino 3D, was created for each of bench modules. Each 3D model was used to create a unique set of construction drawings—typical plans, elevations and sections. Both the digital model and these 2D constructions drawings were then sent to the concrete fabricator. To create the bench modules, the fabricator produced pre-cast concrete molds from both polystyrene and timber. Different modules required different techniques based on the types of curves and complexity of each shape. These molds were cut using a four-axis hot wire cutter with instructions based on the 3D model and 2D construction sets. A steel reinforcement cage was then custom welded to fit within the mold forms before the concrete was poured. Concrete was poured, set, and the molds removed. The cast concrete modules were then sand-blasted in a sealed chamber to achieve the desired surface texture. In total, 97 bench modules were produced in 18 different forms. A further 186 concrete curbs in 25 unique forms were fabricated using the same process.